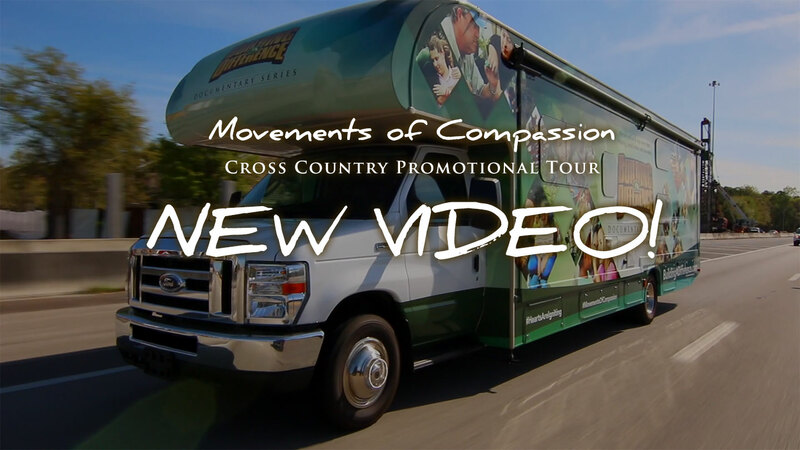 The Movements of Compassion Tour has successfully completed Act 1 and Act 2 of its cross-country missions experience, and Team Courageous is back in Jacksonville, FL for a short and well-deserved rest! Richards continues, “The goal from the very beginning of Building a Difference has been to a shine a light on remarkable works of charity and to ignite hearts to movements of compassion. Therefore, we felt it was important to take many of the concepts presented in this series and put it to a test. So we took a special family featured in Volume One, along with the spirit of helping hurting neighbors through community outreach, the deeper spiritual significance of meeting the needs of the suffering in Volume Two, the process of radical character change we discovered in Volume 3, and put them to ‘a road test’ in the Movements of Compassion Tour. While in Jacksonville, the team will be serving alongside local charity organizations in their own home town of Jacksonville, FL during on a much-deserved break. They will be working closely with Mick Richards under a discipleship program preparing them for the final stretch to the finish line when Act 3 begins. – Team Courageous is recording all of their experiences on camera and soon our audience will be able to see the full story!